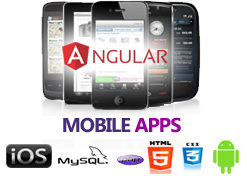 Modern Mobile and Tablet apps for Android, IOS, Symbian, Blackberry, and Windows Mobile Devices. Responsive Design at its best. Impi Media package and deploy apps to the Google Play store and the Apple App store. NATIVE OR WEB BASED MOBILE APPS. The Rather amazing evolution of browser technology including D.O.M and local Storage functionality offered in HTML5, allows Impi Media to build an app to run natively on your mobile as an app does, storing info on your device until online, and work like a webpage updating info to a central location, if required. Great for Client info, Sales orders tracking and performance apps. Looking for Custom Business Intelligence to communicate to your Sales Engineers, Technical Support, Managerial Staff, etc. Well Guess what, There's an app for that. Impi Media build custom mobile apps for Android and IOS to spec that are NATIVE OR WEB BASED mobile and tablet app development for Android, Apple IOS, Symbian, and Blackberry. Thanks to Local Storage functionality offered in HTML5, and Modern Browsers, We can build an app to run natively on your mobile as an app does, storing info on your device until online, and work like a webpage updating info to a central location, if required. Great for Client info, Sales orders tracking and performance apps. Impi Media do not have to change your current website or web application to include a compatible mobile web version of your business. With the help of PHP and MYSQL. 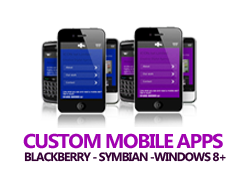 your mobile visitor to your business website will be directed directly to your mobile website or mobi site. Mobile websites must be designed taking into account screen size across a multitude of possible mobile devices. Mobi sites must also be light in design, so that the mobile user has fast loading mobile web pages, and a seamless, enjoyable experience. Impi Media's tablet app developers for Anbdroid and IOS - IPAD develop professional tablet apps for business. Android and IOS Apple IPAD OS operating systems applications development. Our skilled Tablet app Developers have over 15 years experience in custom business intelligence. Impi Media can package your new Android tablet app to the Google Play app store or Ipad tablet app development solution to the Apple app store for easy and efficient download or purchase for your client, your staff, and for your solution. We dont require being in your location to make magic happen for You. Thats the beauty of the internet. We can upload data to any server or network that gives us access. 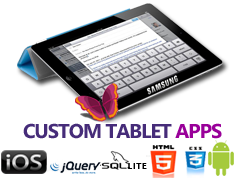 Impi Media offer experienced tablet app developers for Android and Apple IOS. 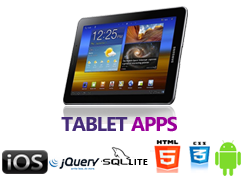 Professional tablet app developers for Android and IOS Apple IPAD. 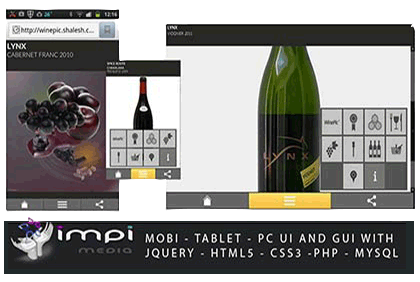 Impi Media design tablet apps for Android, IOS - APPLE IPAD - and the new windows 8 platform and browsers. With over 14 years experience in custom web applications and custom business intelligence, Your new tablet app can be the difference between securing that contract, or presenting your products in a professional tablet driven presentation..
Impi Media deliver custom business intelligence with the power of html5, css3, jquery, mysql, and php . Your new tablet app for your company reps, point of sale marketing, product showcase, corporate presentation. Its all possible . 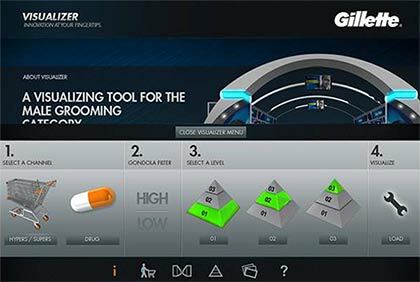 Tablet apps for Android, IPAD (IOS), including the Samsung Galaxy, Samsung Note, and High pixel density displays including the new Retina Display on Iphone and IPAD, and HPDI display on the new Samsung Galaxy Tab. Impi Media have a professional portfolio to showcase some of the exciting and challenging Tablet apps we have developed for Android and Apple IPAD. Call +27 (0) 736 427 160 NOW.